Since 1863, the building at St Vincent’s Centre has been the site of various charitable works to serve the poor and provide meeting space for partner organisations. Cathedral View offers a continuation and extension of the meeting space services that have been on offer at the St Vincent’s Centre since 1980. The Passage and hence Cathedral View take its values and ethos from the teachings and example of St Vincent De Paul, a Christian and social reformer, who co-founded the Daughters of Charity religious order in 1633. Sharing that voice for change and justice, we take great pride in raising an awareness of the issues surrounding homelessness to Cathedral View hirers and demonstrating how their bookings make a difference. Since 1863 the Daughters of Charity have lived at Carlisle Place, in a house assigned to them for helping the poor in Westminster. Firstly used as a school and orphanage and extended to workshops and laundry creating employment for the adult poor. Between 1865 and 1910 the populations of the school and orphanage grew substantially, prompting major expansion of both. 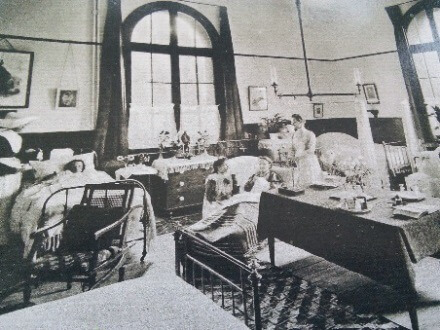 Throughout time the Daughters have worked in harmony with local governments taking on the duty of an auxiliary hospital in the First World War. Under emergency powers outlined by the Compensation Defence Act 1939, St Vincent's Centre was requisitioned by London County Council and converted in to a facility that could feed some 300 people per day during the Second World War. School children and orphans were evacuated to the countryside as recommended by the Imperial Defence Committee. 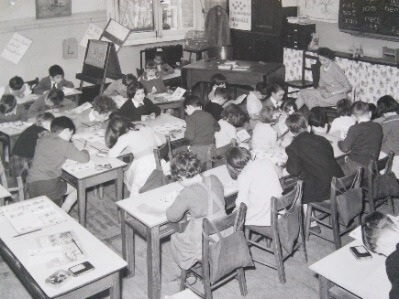 After the Second World War, despite the threat of closure, the school reopened thanks to The Education Act 1944. This provided St Vincent's Centre with the opportunity to stay open as a Secondary Technical School providing specific practical skills to children who wanted to go in to a particular form of employment. The orphanage however did not reopen after the war. 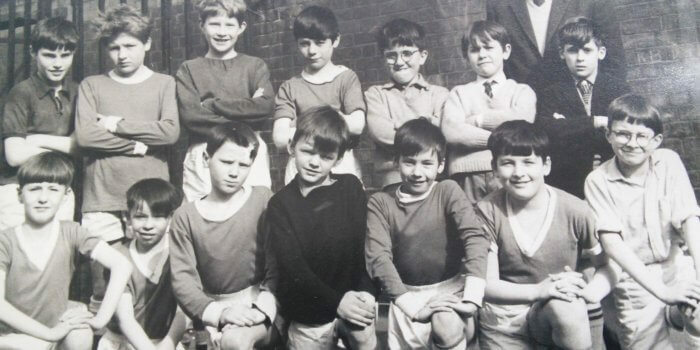 Class of 64 football team. The school continued to thrive when it was relocated to its present position beside the Cathedral. In the mid and late seventies, a small school for people with special learning needs was set up in its place. The spare space no longer required attracted the attention of property developers, but after much debate development schemes were abandon. 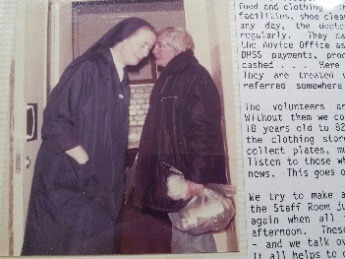 In the meantime the Sisters had started to provide sandwiches to the homeless who sought refuge near Victoria Station. 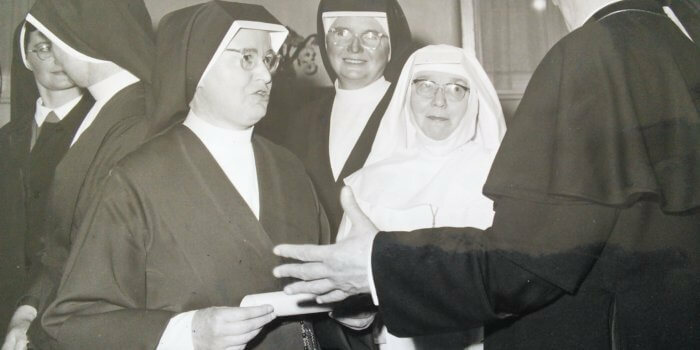 Cardinal Hume organised a meeting between the Cathedral staff and the Sisters of Charity to decide what to do next. 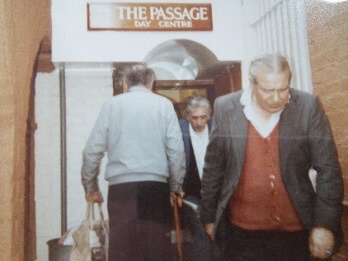 A day centre for the homeless was decided and duly opened in October 1980 and so The Passage Day Centre was born. Now known as the Resource Centre. The Passage originally worked with any homeless persons over the age of 16. After experiencing the tensions caused by the mixture of different ages, the Sisters decided to specialise in working with clients over the age of 25. A separate project was initiated for younger clients. Initially intended to be part of The Passage Trust and called Junior Passage, the project to support younger clients established itself as a separate charity under the name DePaul. The Passage open learning project began in 1996 to help clients improve their skills and therefore their chances of finding better paid employment. Previously specialised housing and health teams had been established in the 1980's. A new and improved hostel, Passage House opened in 2000. The Mentoring Scheme was introduced. The aim of the scheme was to help clients maintain a development in their life, such as a job or flat by providing them with someone to talk to when things were going well and more importantly when things were not. Barclays and John Lewis continue to support the mentorship scheme. Montfort House was created and remains in use today. Montfort house consists of 16 self-contained flats supported by 3 staff, providing accommodation and support for entrenched rough sleepers. Nearly two years building work at St Vincent’s Centre was completed. The refurbishments created a building that was of as high a quality as the services themselves, allowing an abundance of new opportunities and services. 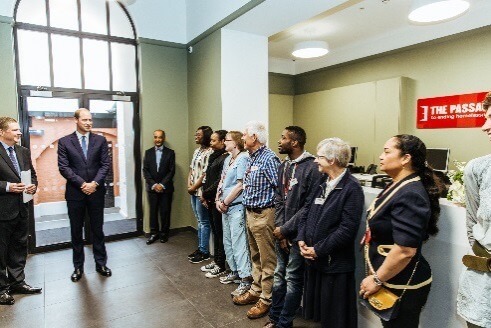 The centre was officially opened by HRH The Duke of Cambridge KG, KT. The complete refurbishment of St Vincent’s Centre enabled The Passage to create Cathedral View, a beautiful and unique venue space that will provide further sustainable income for The Passage’s vital services.